Treasury minister Liz Truss met with representatives of five libertarian groups during a recent visit to Washington DC that cost taxpayers more than £5000, Unearthed can reveal. Truss also met with the American Legislative Exchange Council (ALEC), a controversial organisation that brings together corporate interests and state-level politicians to draft business-friendly legislation that is then enacted in state legislatures across the US. 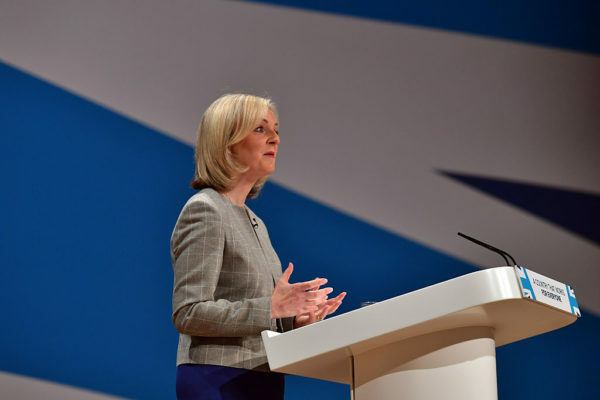 Truss further attended a roundtable with Americans for Tax Reform, an influential campaign to slash taxes that has strong links with the UK’s TaxPayers’ Alliance (TPA). The TPA’s founder, Matthew Elliot, worked with Americans for Tax Reform early in his career before transplanting its model to the UK in 2004. Truss has long standing links with UK libertarian groups such as the Institute of Economic Affairs (IEA); TaxPayers Alliance and Adam Smith Institute. Both the IEA and TaxPayers’ Alliance, which Truss met in May, view Brexit as an opportunity to slash regulations and cut taxes. A Treasury spokesperson referred Unearthed to the press release it put out at the time of Truss’ visit, in which she said that the UK and US are: “Bound together by a shared belief in liberty”.